Fall is here! Shorter days and cooler air set the perfect environment for baking mouth-watering treats. And, with the pumpkin season in full force, what better time to add delicious new gluten free recipes to your baking repertoire. 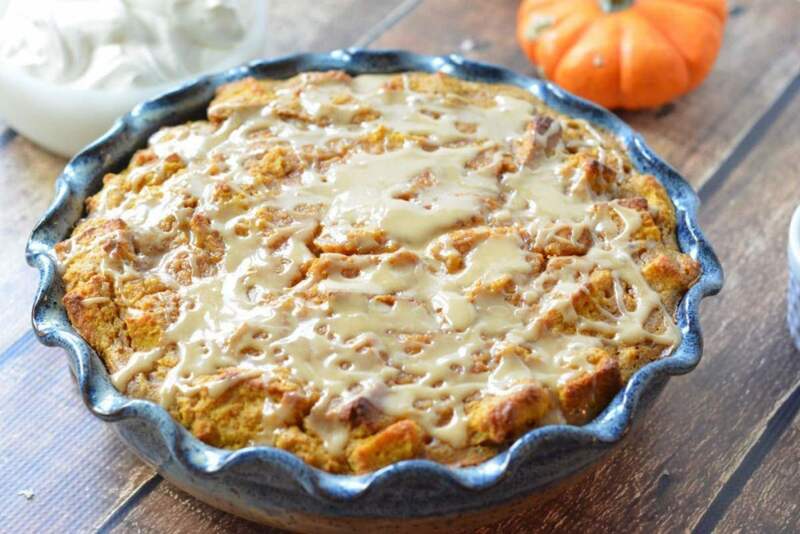 In today’s post, we have rounded up some must-try gluten free pumpkin recipes from our favorite food bloggers that will whisk you away from your computer and into the kitchen in a split second! Here are 5 must-try gluten free pumpkin recipes. 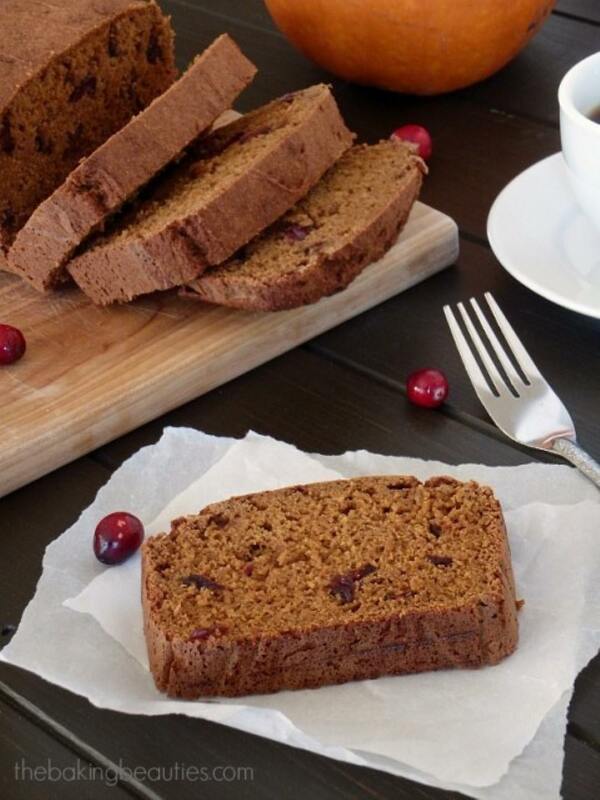 A moist loaf of gluten free Pumpkin Cranberry Bread is the perfect treat for those cool autumn days. Or winter. Even spring. Really, pumpkin can be baked with year round, it doesn’t have to just be in fall. This Pumpkin Cranberry Bread is not only gluten free, but it is also free from dairy, soy, and nuts. I never thought to try an egg replacer, but that would be a great experiment for the next time I bake it, which shouldn’t be too long from now, since my family devoured this whole loaf in less than 24 hours. This pie requires just 10 ingredients, including the crust! And you guys may or not believe me, but you’d never ever, ever guess it was vegan or gluten free. Seriously! Trust me. Serve this at Thanksgiving and watch as your guests mutter nothing but “mmmm’s” and “ooooohhhh yeeaaahhhh’s” around the dinner table. 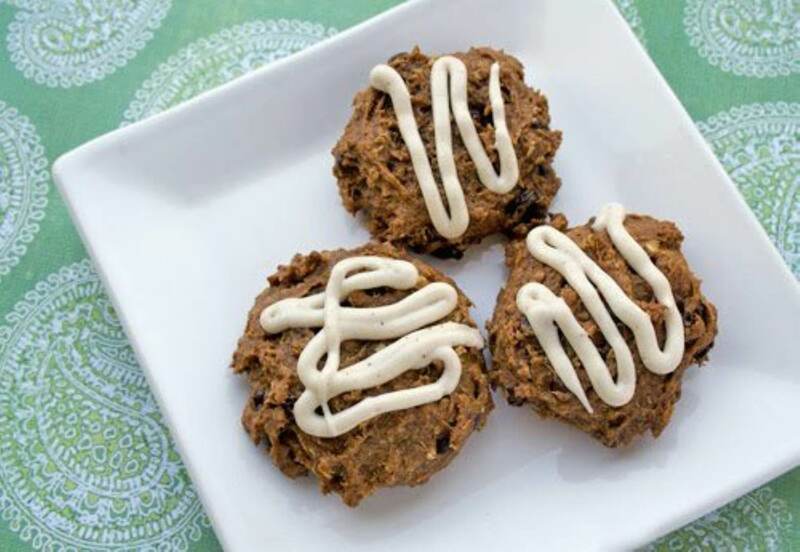 These tasty morsels of cookie goodness freeze quite well, so hide a few on baking day and freeze for later. It’s always nice to have a surprise treat on hand for unexpected guests. Or breakfast! There is a telltale coolness in the air, leaves are changing and the scent of cinnamon beckons. It must be pumpkin season! 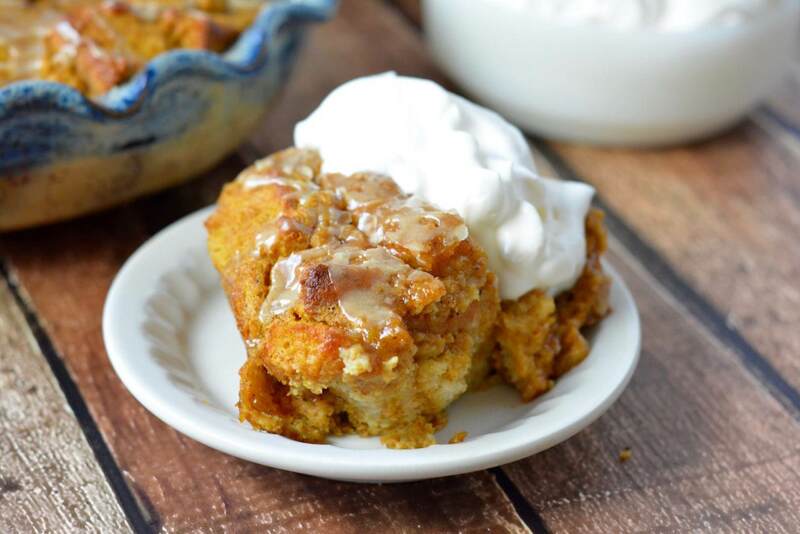 What a better way to enjoy our favorite orange gourd than in a simple, comforting dish of Pumpkin Bread Pudding. It’s the perfect fall treat. Simple to pull together, it’s homey flavors will warm you up after a day crunching in the leaves. Made with our gluten free Whole Grain White Bread, dairy and dairy-free options are included. To serve Pumpkin Bread Pudding a special holiday breakfast, simply mix it the night before, place into the oiled pan and cover. Chill overnight. In the morning uncover and bake as directed. 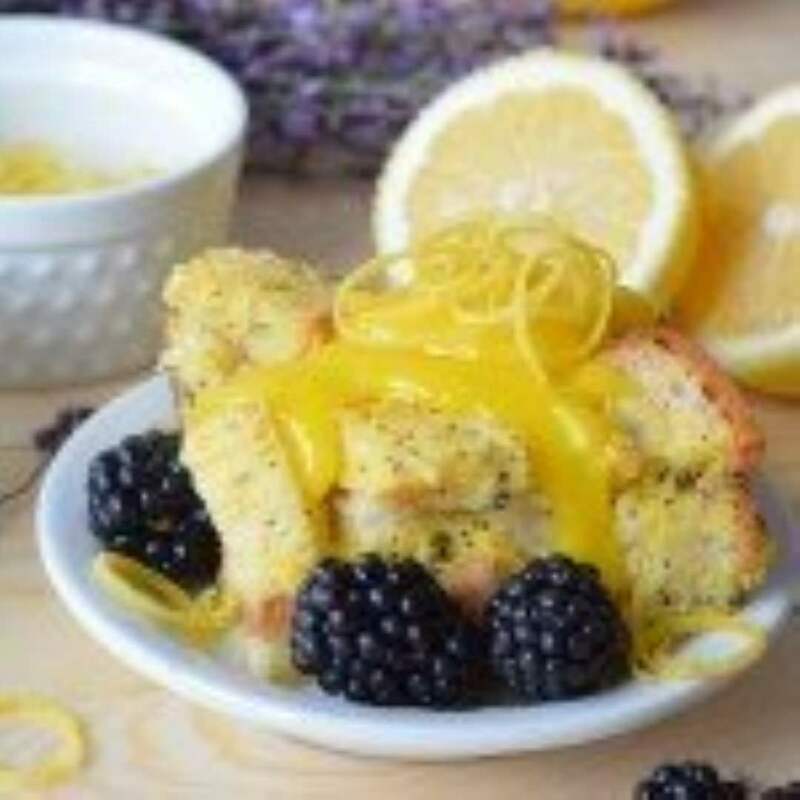 Replace the glaze with pure maple syrup and enjoy! 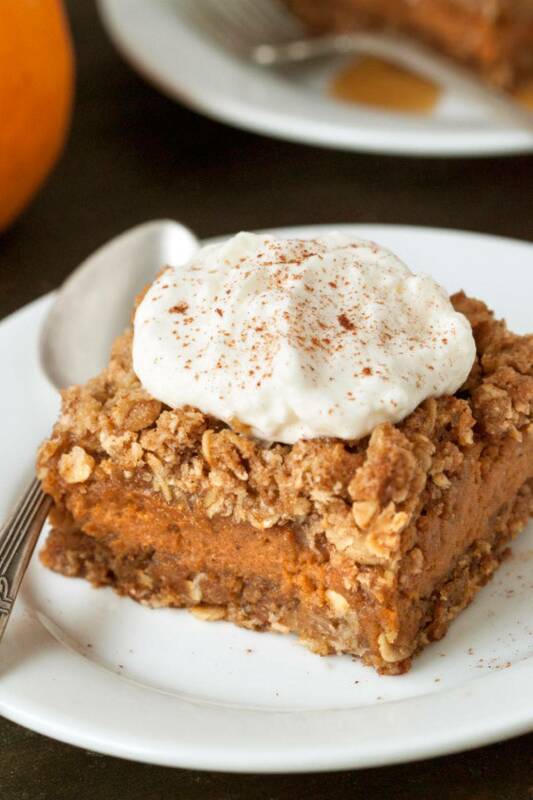 These super easy gluten-free pumpkin pie bars have an oat-based streusel crust as well as topping and are sure to be a hit at the Thanksgiving dessert table! 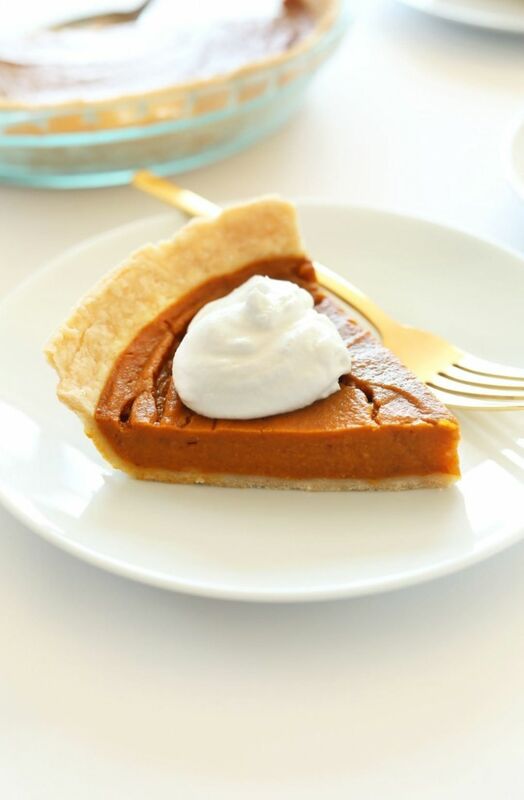 No matter how you bake it, pumpkin is a delicious treat. 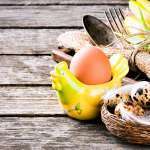 What is your favorite gluten free pumpkin recipe?